While all the focus recently has been the Cubs’ torrid stretch of winning—and then, the sky falling because they lost two games (and, I suppose, another yesterday)—there have some issues that have been glossed over by fans and media. It’s true that Jason Heyward has struggled to start the season, but he’s been given a pass mostly due to the Cubs offense scoring runs like Mario knocks coins out of a stack of bricks. At least, until the last few days when fans have become more vocal. But on the opposite side of Heyward’s frustrating struggles has been Addison Russell’s blossoming as a hitter and an on-base machine. 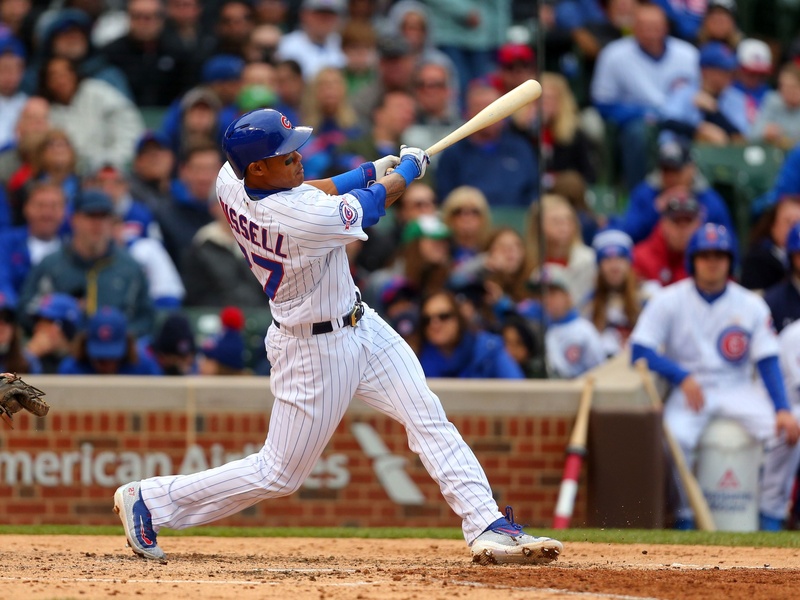 On a team with a high-profile name in Heyward, plus the hot-hitting Dexter Fowler and Ben Zobrist, and young stars like Anthony Rizzo and Kris Bryant, it’s easy to forget about Russell on the offensive side. Most think of Russell as merely a ‘defense first’ player, and the extremists go as far as to say that offensive limitations are holding him back. @morningmarsden Not really. Still a low contact rate for a guy with average power. Think he’s good player, not a star. And all of that is only somewhat true. Russell is a stud with the glove, a fact that’s indisputable despite what some of the defensive metrics may say about him so far this season—his FRAA in 2016 so far is a puzzling -2.9. But that’s a discussion for another day. The Cubs’ youngest hitter has been hiding at the bottom of the lineup most of the season, and it may shock some to see just how much Russell has changed as a batter—from a strikeout-prone hitter that barely walks at an average rate to a relatively good contact-hitter with a high walk rate. He’s accomplished all that by slightly adjusting his approach at the plate. Russell is being much more aggressive in the zone this season, swinging at 76.8 percent of pitches in the zone compared to just 69.9 percent last season. As a result, pitchers are giving him slightly more pitches outside the zone, raising that percentage from 62.7 to 65.4. 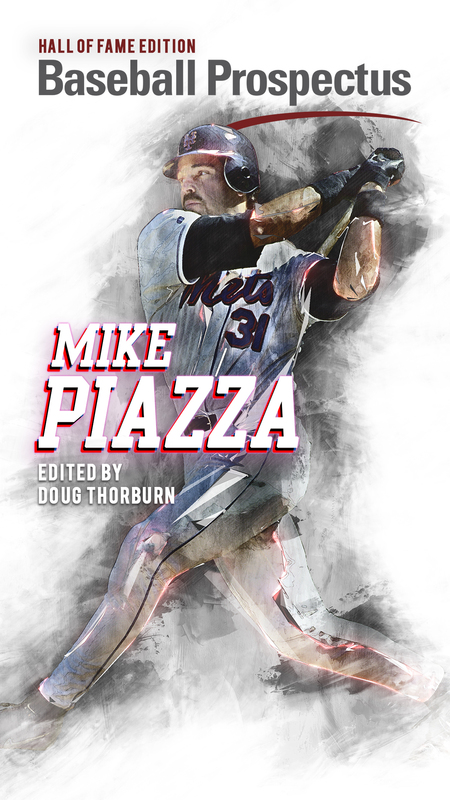 He’s also making better contact on pitches outside the zone, putting the bat on the ball 59.5 percent of the time versus 54.7 percent in 2015. To summarize? Young, talented hitter works hard to improve, then sees positive results. Those results are especially good lately, too. An example of the hitter Russell has become is no more evident than in his recent at-bat against Pirates left-hander Francisco Liriano. The pitcher started Russell out with a ball, got two swinging strikes, and with a 2-2 count just missed up and in—on what Liriano thought was strike three. The next pitch? Russell launched his third home run of the season. Last year, it’s very likely that Russell swings and misses on what was an extremely borderline ball-three. The pitch was clearly outside the zone, but it was close enough to tantalize a young hitter with questionable patience at the plate. Then Russell gets a pitch high in the zone—the vaunted changeup that Liriano frequently uses to mow down right-handed batters with—and Russell launches it out to left, halfway up the bleachers. It’s a very strong, symbolic at-bat for how Russell has changed his approach. But the real, clear difference in the kind of hitter Russell has been this season shows in his strikeout and walk percentages. Russell struck out 28.5 percent of the time last year in 142 games with the Cubs while walking only 8.0 percent of the time. 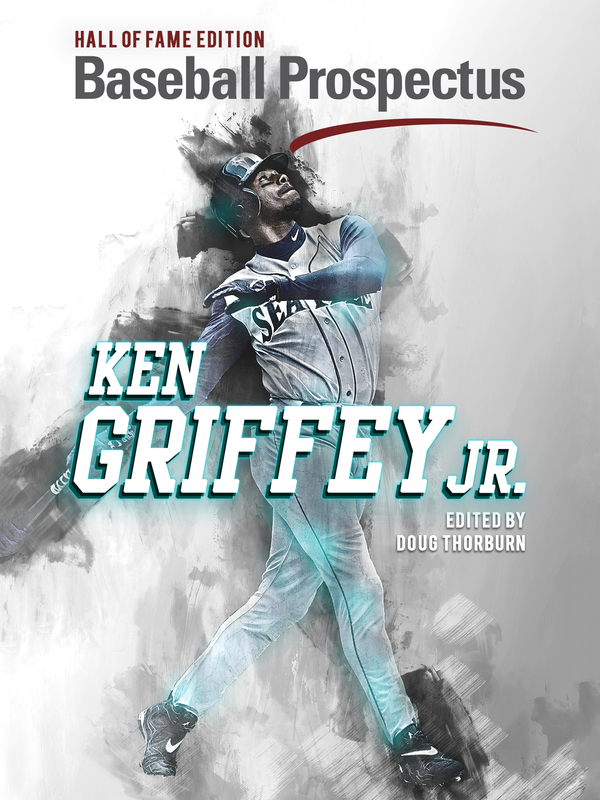 This season, he has the strikeouts down to 20.3 percent and the walks up to an eye-popping 14.8 percent. That last number is really good, if you didn’t know that already. With Russell batting at the bottom of the Cubs lineup, generally seventh or eighth, the Cubs have a luxury not many can claim. The team is so deep that they can hit the 22-year-old stud and defensive wizard with the likes of David Ross and a pitcher following him up, and still lead the National League in runs scored. And interestingly enough, the player that leads the Cubs in go-ahead hits? Addison Russell. Despite the bigger names and older players overshadowing him in the lineup, Russell has begun the breakout that many expected was coming this season. He was once famously compared to former Reds shortstop Barry Larkin by Oakland A’s general manager Billy Beane, just after the Cubs were lucky enough to steal Russell away in a deal built around Jeff Samardzija back in 2014. After the first month-and-a-half of the 2016 season, that comparison no longer seems all that lofty. Lead photo courtesy Dennis Wierzbicki—USA Today Sports. Ryan is a full-time writer and part-time student studying Labor Management and Employment Law. He spends his free time watching sports, playing with his daughter, and arguing about meaningless information on the internet.